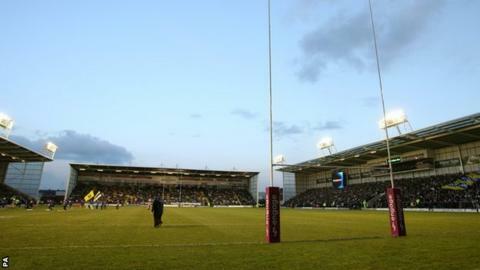 Warrington coach Tony Smith says a "reality check" of Super League club finances may help improve the game. His comments follow a BBC Inside Out investigation which alleges that Super League clubs are facing combined debts of £68.5m. "It hurts to see it [the game] going through difficult times but sometimes we need shake-ups and reality checks," said Smith. "Sometimes we need to make some hard decisions to make things better." He added: "Hopefully we've the people in charge to do those things." The new season will start on Friday without a main sponsor and with Bradford Bulls and Salford City Reds having both had financial difficulties in the last six months. For the BBC investigation, Sheffield Hallam University sports finance specialist Rob Wilson looked at the balance sheets of 11 of the 14 Super League clubs and found a huge financial disparity between them. He found "three or four clubs" were performing well, while the rest of them appeared to be making annual losses. Smith's club, Warrington, are one of the clubs in good financial shape, but he accepted there were problems in Super League. "I think it's fair enough for people to be critical of the game," he said. "It keeps people on their toes and makes sure that they are accountable. If questions need to be asked, that's how it should be. "Just because I'm at a club that is stable and well supported, it doesn't make it any less concerning. "I think anybody involved in the game and certainly anybody who earns a living out of the game cares about it. It's been my sport for all my life and I want it to be the best it can be."